As with the Seed Of Life Pendant, this ring is designed around the ancient sacred symbol of 7 interlocking symbols representing the cosmos and the 7 stages of transformation in its creation and in the personal path to enlightenment. It is also simply an eye-catching piece of finger candy! 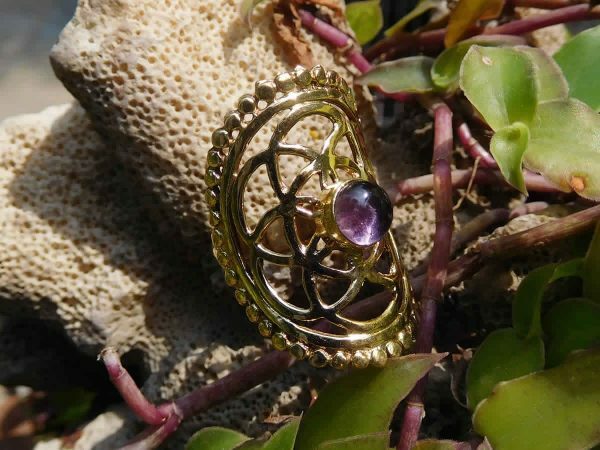 Made from hand-stamped and worked nickel-free brass with a natural clear amethyst centre stone.